For a typical 120 volt circuit, with a 20 amp breaker, you will be provided 2400 watts capacity. The total load from your equipment should not exceed 80% of this total, or 1920 watts, per 20 amp breaker. To determine how much power you need, calculate the load of all the devices you will be plugging into your circuits. Add the watts drawn by each device, for example, a circuit with 2 x blenders (600 Watts), 4 x 45" LED TV (180 Watts) and six lamps with 60 watt bulbs (360 Watts) adds up to 1140 watts if all these devices are running at the highest speed, all at the same time. This is only 60% of the available capacity for a 20 amp/120 volt circuit, so you are safe with those requirements. However, if you wanted to add a microwave (1500 watts) to this same system, then you would surpass the 1920 watt threshold and require an additional 20 amp, 120 volt electrical outlet. 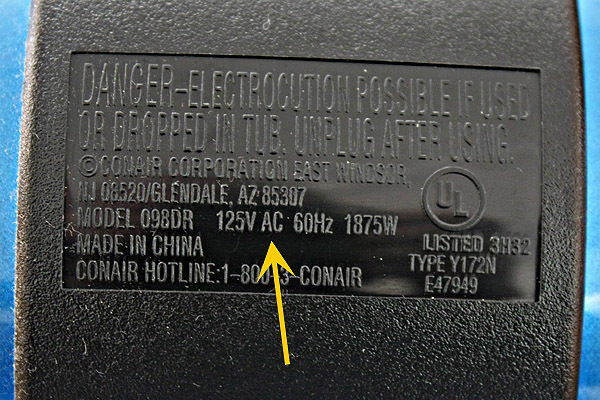 The amperage/wattage rating information for a particular device may be on a label or imprinted on the back/bottom of the product. If no amperage/wattage rating is displayed, the chart below lists common household appliances and the average watts drawn for each to aid in calculating the load of a circuit.